The color is clear and bright, with a hint of green. The nose is clean and fresh with expressive granadilla, gooseberry and black currant characteristics. These flavours follow through onto the palate which has a lovely creamy texture – the result of extended lees contact and the higher Semillon portion. 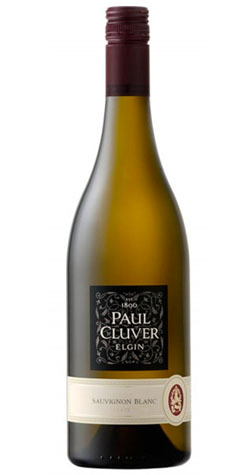 14.81 hectares are under Sauvignon blanc, which equates to 20% of the total plantings of Paul Cluver Wines. Vines range in age from 9 to 20 years. The first plantings were in 1993, the latest in 2004. French and New Zealand clones have been planted (316, 317, 242, 159, 11 and 215) providing a range of characteristic flavours. The soil is predominantly Bokkeveld shale. Slopes are of various aspects but mostly South and South East facing. Vineyards range in height from 280m to 450m above sea level. The aim is elegance, balance and expression of terroir. Vintage conditions and the quality of the grapes dictate decisions made in the cellar - there are no fixed rules or recipes that are followed. Dry ice is used abundantly. Skin contact prior to fermentation is done to extract flavor and reduce acidity – duration varies. Pressing is always gentle. Only free run juice is fermented. Different yeast strains were tried out this year and the lees stirring regime increased adding richness to the mid-palate. Total time on fine lees was five months. The Semillon component was fermented in a combination of stainless steel tanks, 3nd and 4th fill French oak barrels and a 2600 litre oak vat.